crafty-angel: Kindred stamps - 2017 - December release. 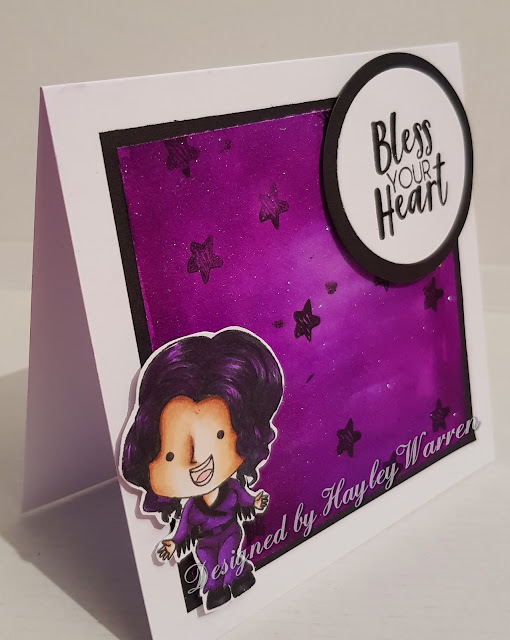 Kindred stamps - 2017 - December release. I am honoured to be a Guest Designer for Kindred stamps new monthly release. I adore their stamps, and feel that they bring something very different and unique to my crafting. 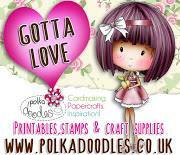 Today is also a blog hop, and here are the blogs in order. 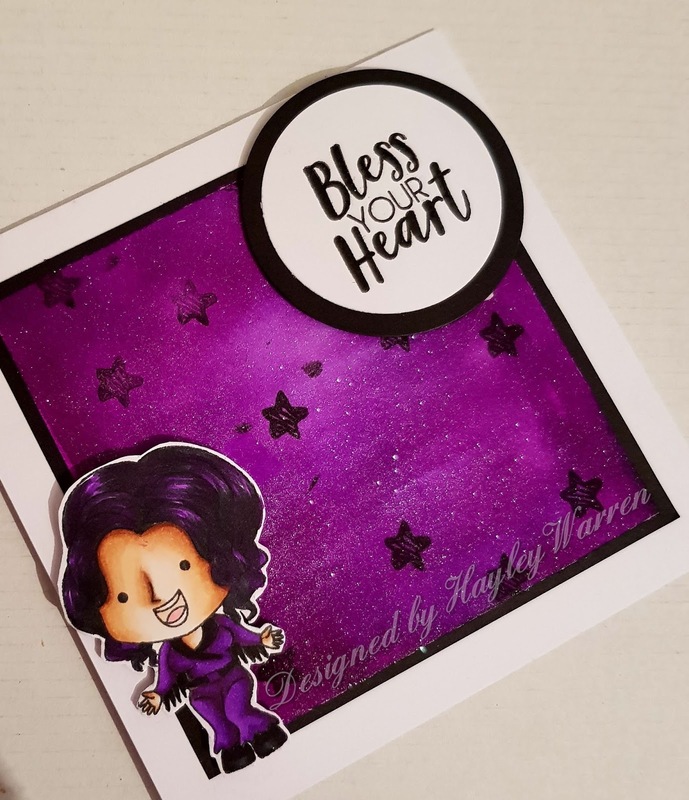 I am showcasing some projects made with one of the new release stamp sets from Kindred stamps - Called Bless your heart. I created a fold back card using a 6" white square card blank. I matted the DP on to black card. The image was coloured with Shinhan - Touch Twin brush markers. 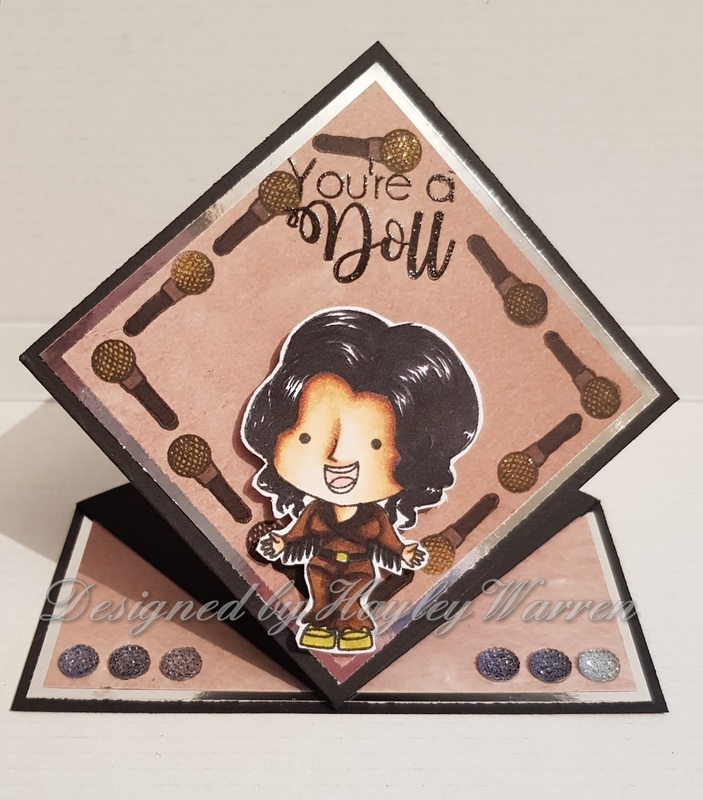 My next card is made using a 5" square card blank. Again this was matted on to black card stock. The image was coloured with Shinhan Touch Twin brush markers. This book is brilliant. So easy to use, and very well laid out. I fussy cut the image and adhered it with foam pads. I added flat Dazzlers to each side to add a bit of sparkle. I coloured the image with ShinHan Touch Twin Brush markers.